Jeffrey Welch's Blog: Green Dog Poop — Is It Always a Cause for Concern? The post Green Dog Poop — Is It Always a Cause for Concern? by Jackie Brown appeared first on Dogster. Copying over entire articles infringes on copyright laws. You may not be aware of it, but all of these articles were assigned, contracted and paid for, so they aren’t considered public domain. However, we appreciate that you like the article and would love it if you continued sharing just the first paragraph of an article, then linking out to the rest of the piece on Dogster.com. 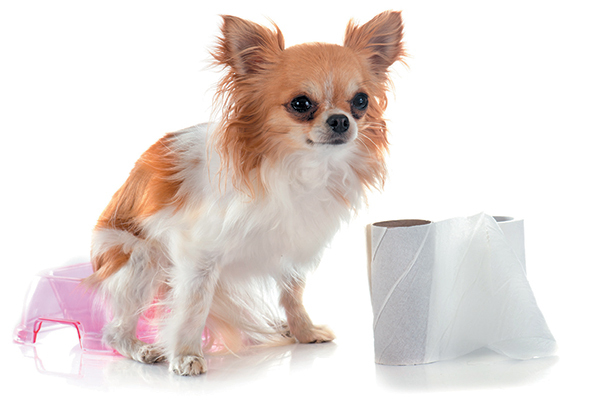 It can be alarming to see your dog poop out bright green stool. Your dog’s poop may be different colors from time to time, and the specific color can give you a clue as to what is going on inside your pup. Green dog poop is something you shouldn’t ignore. Although green dog poop can be innocuous, it may also be a sign that something is seriously wrong with your dog’s health. Why do dogs poop green? Sometimes, green dog poop is nothing to worry about. Does green dog poop always require a trip to the vet? Photography ©AndreyPopov | iStock / Getty Images Plus. So, green pigment in the stool is not always cause for concern. If your dog eats a large amount of grass or other plant material, it could tint his poop green. Dr. Jensen has also heard of cases of green dog poop occurring after dogs eat a large number of Greenies treats. I personally have witnessed my dog poop a veritable rainbow of colors after stealing and eating my son’s Crayons. (It’s a good thing they are nontoxic because Crayons are like doggie crack to him!). But sometimes green dog poop is a sign of something serious. Dog green poop can be a symptom of something very serious. Photography by By Monika Wisniewska / Shutterstock. A scarier situation is if the green pigment is present due to your dog ingesting certain toxins. “A very dangerous pigment that can pass through is the pigment that’s used in rodenticides,” Dr. Jensen explains. Rodenticide (rat poison) can contain blue pigments as well as green. How do you tell the difference between the two types of green dog poop? You should always talk to your vet about green dog poop. Photography ©cynoclub | Thinkstock. Either way, place a call to your vet when you notice green dog poop. It’s hard to know if it’s green because your dog ate too much grass or because he ingested rodenticide. Bring a fresh sample so the vet can inspect and possibly test the green dog poop. If it’s poison, time is of the essence. The faster you seek veterinary care, the more likely it is that your dog will recover. Also, even if your dog just ate some grass, other complications can occur. 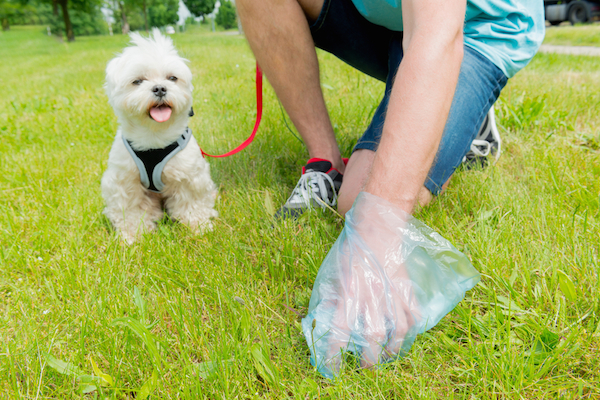 Tell us: Is your pup prone to green dog poop? Thumbnail: Photography by By Paul S. Wolf / Shutterstock. This piece was originally published on January 24th, 2018.